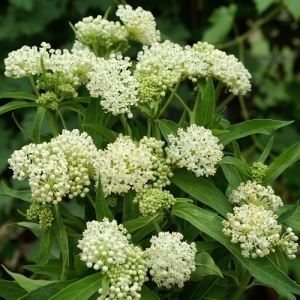 The stems are topped by many small umbels of many small flowers in spring and continue to bloom for at least six weeks in the garden. 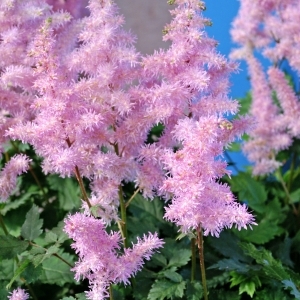 Plants prefer a well-drained soil and are very tolerant of poor dry conditions and drought. 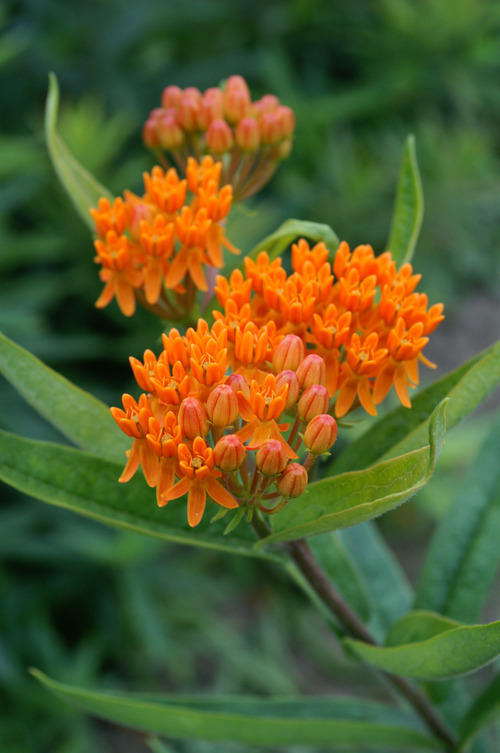 Asclepias can also be used for cut flowers and are excellent for large landscape projects. Butterflies are attracted to the plant beacuse of its color and nectar production.Attracts butterflies. 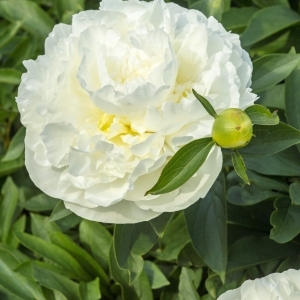 Grows well in dry, gravely soil. Good cut flower. USA Native plant. Stems do not release milky sap. 3 months of bloom!